Why is it colder at the poles and hotter on the equator? This question, which seems completely unrelated to shaders, is actually fundamental to understand how lighting models work. As explained in the previous part of this tutorial, surface shaders use a mathematical model to predict how light will reflect on triangles. 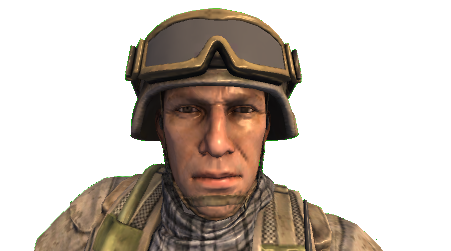 Generally speaking, Unity supports two types of shading techniques, one for matte and one for specular materials. The former ones are perfect for opaque surfaces, while the latter ones simulate objects which reflections. The Maths behind these lighting models can get quite complicated, but understanding how they work is essential if you want to create your own, custom lighting effect. Up to Unity4.x, the default diffuse lighting model was based on the Lambertian reflectance. and is available in Cg / HLSL using the function dot. It returns a number ranging from -1 to +1 which is zero when the vectors are orthogonal, and 1 when they are parallel. We’ll use it as a multiplier coefficient to determine how much light triangles receive from a light source. Lines 19-25 shows how the Lambertian model can be naively re-implemented in a surface shader. 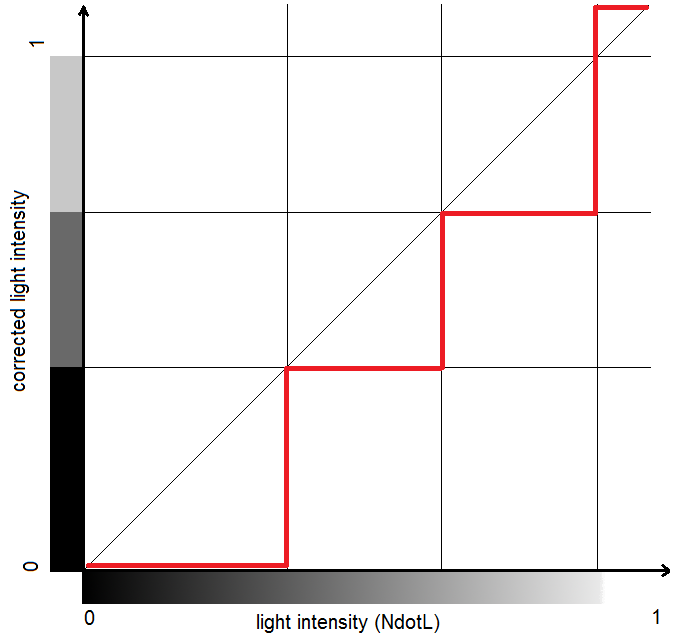 NdotL represents the coefficient of intensity, which is then multiplied to the colour of the light. 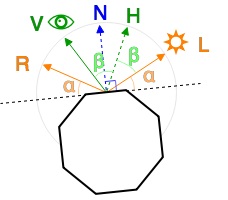 The parameters atten is used to modulate the intensity of the light. The reason why it is multiplied by two is… a trick initially used by Unity3D to simulate certain effects. As explained by Aras Pranckevičius, it has been kept in Unity4 for backward compatibility. This has been finally fixed in Unity5, so if you’re reimplementing a Lambertian model for Unity5, just multiply by one. Understanding how the standard lighting model works is an essential step if we want to change it. Many alternative shading techniques, in fact, still use the Lambertian model as their first step. One of the most used styles in games lately is the toon shading (also known as cel shading). It’s a non photorealistic rendering style which changes the way light reflects on a model to give the illusion it has been hand drawn. To implement this style, we need to replace the standard lighting model used so far with a custom one. The most common technique to achieve this style is to use an additional texture, called _RampTex in the shader below. The LightingToon model calculates the Lambertian coefficient of intensity NdotL and uses the ramp texture to re-map it onto a different set of values. In this case, to restrict the intensity to four values only. Different ramp textures will achieve slightly different variants of toon shading. The quantity is then processed further using the and settings. 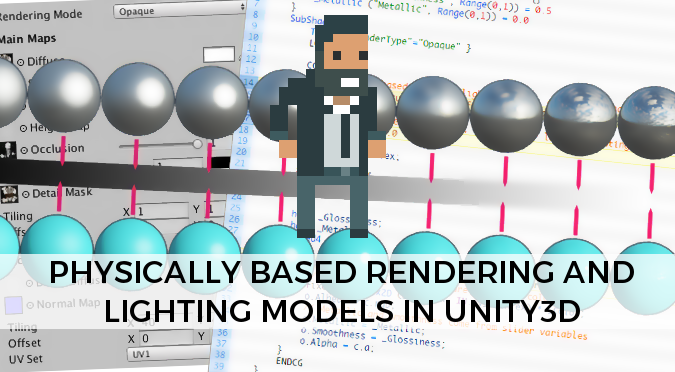 If you need more information on how Unity calculates its lighting models, you can download the source for its built-in shaders. Both the Lambertian and Blinn-Phong surface functions are calculated in the file Lighting.cginc. In Unity5 they’re available as Legacy shaders. As mentioned at the beginning of this post, Uniy4.x was using the Lambertian lighting model as its default shader. Unity5 has changed that, introducing the Physically Based Rendering (PBR). The name sounds very intriguing, but is nothing more then another lighting model. Compared to the Lambertian reflectange, PBR provides a more realistic interaction between lights and objects. The term physically refers to the fact that PBR takes into account physical properties of materials, such as conservation of energy and light scatter. Unity5 provides two different ways for artists and developers to create their PBR materials: the Metallic workflow and the Specular workflow. In the first one, the way a material reflects light depends on how metallic it is. A cheap explanation is that light is an electromagnetic wave, and it behaves differently when in contact with a conductor or an insulator. 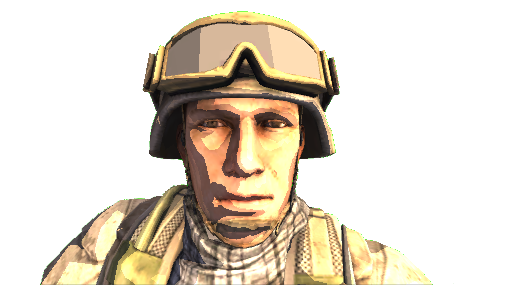 In the Specular workflow, a specular map is provided instead. Despite being presented as two different things, Metallic and Specular materials are actually different ways to initialise the same shader; Marmoset has a very well done tutorial in which it shows how the same material can be created both with the Metallic and Specular workflows. Having two workflows for the same thing is one of the main sources of misunderstanding when approaching Unity5 shaders for the first time. Joe Wilson made an incredibly clear tutorial oriented to artists: it’s a good starting point if you want to learn how to use PBR to create highly realistic materials. If you need some more technical information, there’s a very well done primer on PBR on the Unity5 blog. Line 14 tells Unity3D that this surface shader will use the PBR lighting model. Line 17 signals that advanced features are being used in this shader, hence it won’t be able to run on outdated hardwares. For the same reason, SurfaceOutput can’t be used with PBR; SurfaceOutputStandard must be used instead. half Occlusion: indicates the amount of ambient occlusion. If you want to use the Specular workflow, you should use SurfaceOutputStandardSpecular which replaces half Metallic with float3 Specular. Note that while the Lambertian reflectance has a specular field which is half, the specular property in PBR is a float3. It corresponds to the RGB colour of the specularly reflected light. So far, four different shading techniques have been introduced. To avoid confusion, you can refer to the table below which indicates, in order: shading technique, surface shader name, surface output structure name and the name of the respective built-in shader. The equations behind PBR are rather complicated. If you are interested in understanding the Maths behind it, both the Wikipedia page for Rendering equation and this article are good starting points. If you imported the Unity3D package (which includes the shader used in this tutorial), you’ll notice how the built-in “Bumped Diffuse” shader yields a very different result compared to its naive implementation “Simple Lambert”. This is because Unity3D’s shader adds additional features, such as normal maps. This post introduced custom lighting models for surface shaders. 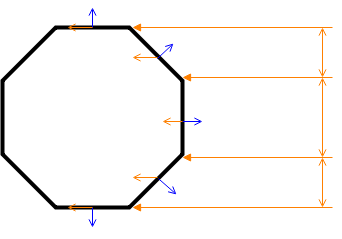 The Lambertian and Blinn-Phong models are briefly explained, with a real example of how they can be changed to obtain different effects. It is important to notice that purely diffuse materials don’t really exist in real life: even the most dull material you can think of will have some specular reflection. Diffuse materials were very common in the past, when calculating specular reflections was too expensive. The post also shows what physically based rendering is, and how it can be used in Unity5. PBR shaders are nothing more then surface shaders with a very advanced lighting model. These tutorials are great! Learning a ton. May I make a nit-picky comment about your grammar though? You seem to keep using “then” when you mean “than”. This has happened in both this post and the previous. Hey! Thank you for the comment, I always appreciate people who are willing to spend their time with constrictive criticism! I’m not a native speaker, and despite I’m very well aware of the difference between thEn and thAn, I keep mixing them when I’m writing haha! 😀 Thank you again! Why is there no Part 3: Physically Based Rendering and lighting models in Unity3D?